It’s very common that you lose your important data from hard disks by accidentally pressing the Delete key. Sometimes, your drives will get corrupted due to a software bug or virus. If you have taken time to back up data and keep it updated, then you can easily get lost data back. However, when the backup is not available because you never create one, this is where data recovery tools can save the day. 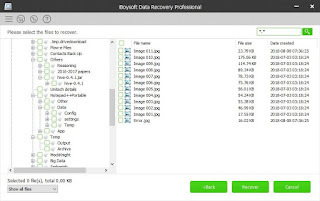 Here we will take a closer look at the best free data recovery software - iBoysoft Data Recovery. 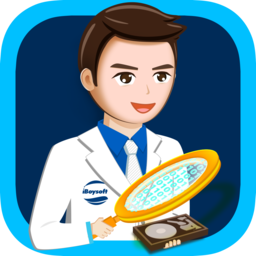 Available for both Windows and Mac version, iBoysoft Data Recovery is a free and reliable data recovery tool which provides a thorough scan as well as user-friendly experience. It is designed to recover data whether we’ve accidentally deleted a file or have bigger issues like a corrupted/formatted partition, system crash, etc. What is worth to mention, the Windows version perform perfectly in RAW data recovery, from 0 bytes free/used space to ‘the disk needs to be formatted’ error messages. The Mac version prides itself on the comprehensive data recovery from non-booting machines and various APFS (including encrypted APFS) data loss scenarios. · Support data recovery from pictures, music files, documents, images, videos, emails, etc. 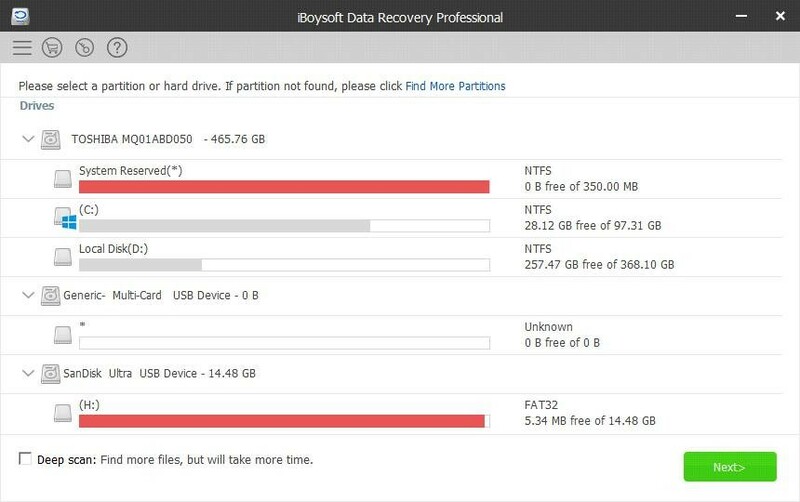 · Recover data from a range of storage devices, like hard drives, external hard drives, USB drives, SD cards, memory cards, pen drives, etc. With advanced algorithm, this powerful data recovery program enables us to scan the missing data sector by sector to make sure that all lost files can be retrieved. 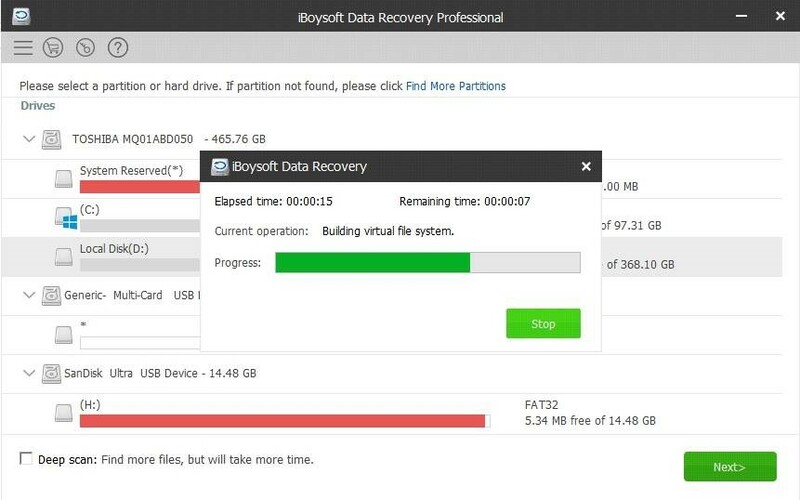 Compare to other RAW data recovery software, iBoysoft Data Recovery has faster speed as well as higher recovery rate. The software is so flexible. It offers both quick scan and deep scan. You can perform a general search to quickly detects recently deleted files. Using RAW searching technology, the deep scan module is a nice compliment to the quick scan, which can track down all recoverable files though take a bit longer. It delivers powerful built-in pre-recovery preview function, which allows us to look through all found files that your computer supports during and after scanning, such as videos, pictures, music, documents, etc. This program is created with some handy features and strong customization options. With it, you are allowed to sort scanning results by file systems and file types, search for by their name and extension. Moreover, if you pause a scan, don’t worry, iBoysoft Data Recovery logs incomplete scans, so you can resume it later. · The program takes a few second to start. 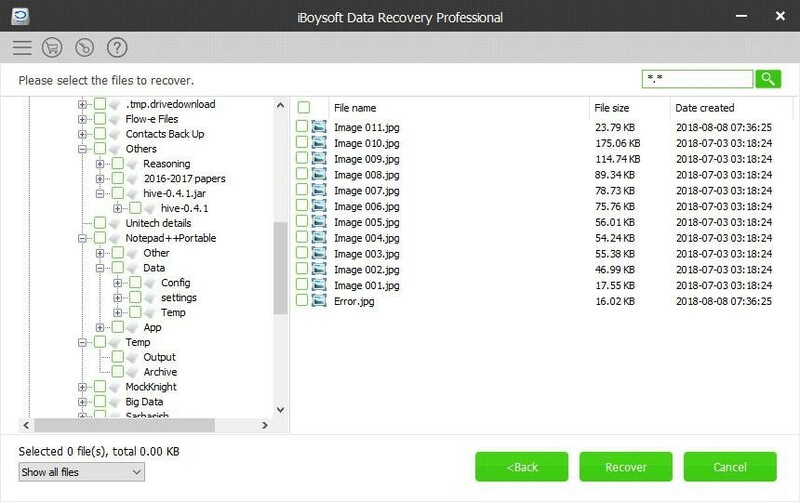 Step 1: First of all, you need to download and install iBoysoft Data Recovery. 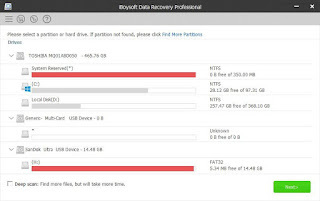 Step 2: Launch iBoysoft Data Recovery and you will see all connected storage devices on the drive list. Step 3: Just choose the drive which you have deleted/lost files and click on “Next” to scan. We picked our data D drive here. A progress bar will give you some idea of how far long the scan is and what is it doing. Step 4: After scanning, you will find the directory structure on the left. Just select the files you want to recover and click on “Recover” button. 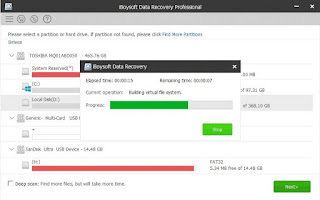 We tested iBoysoft Data Recovery in different scenarios, but it didn’t disappoint us. In most cases, it can locate 95% of our data. The wizard is so straightforward and provides many scan and sort options. The big issue, as mentioned, is that the trial version only allows you recover less than 1 GB data for free. Fortunately, there are two kinds of license available, Home and Technician edition. Both of them are not expensive. Hope the review will help you take your purchasing decision.